We assist in the procurement of propane powered vehicles and equipment for our customers then customize a refueling program that works best with the needs of the fleet. We offer construction of private infrastructure for the convenience of refueling directly in your fleet’s yard or we can provide access to our 24-hour, seven day a week semi-public accessible refueling network. All ARRO Autogas refueling sites, both private and public, are equipped with FuelMaster propane dispensing equipment. 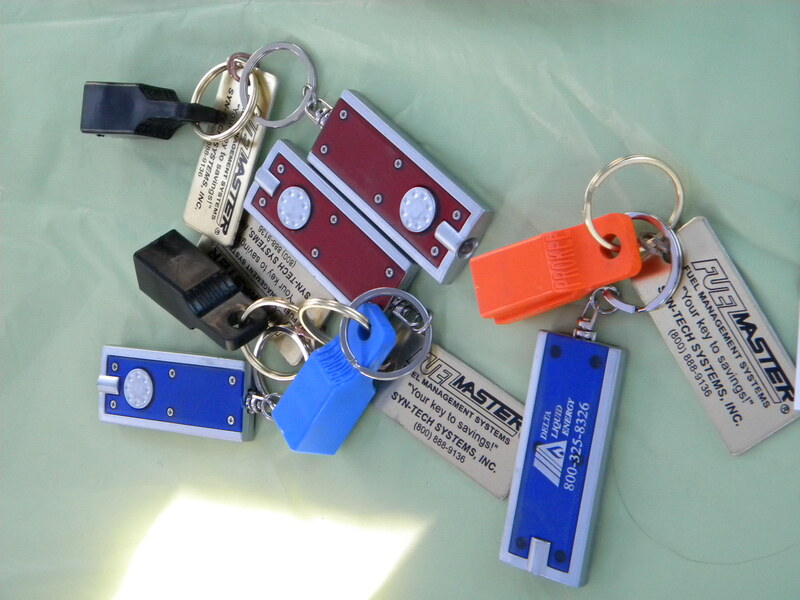 Access to the propane dispensing equipment is only available through individually assigned keys, called Prokees. This is a two part system; two keys must work together in order to start the flow of propane from the dispenser. Each individual using the propane dispenser must first go through a training session with an ARRO Autogas Service Technician in order to be granted access to the equipment and receive their personal set of Prokees. This system allows for quick, detailed reporting of transactions giving ARRO Autogas customer service representatives the ability to send customized reports to our customers. Once an individual receives their set of Prokees, access to all public ARRO Autogas sites will be issued. This will allow the individual to fill their vehicle at most of the ARRO Autogas stations.To view a map of our stations, Click Here. If a Prokee is lost or stolen it will be immediately shut down and no further access to ARRO Autogas refueling sites will be permitted with that key. For a step-by-step guide on how to properly use ARRO Autogas propane dispensing equipment, please view our Safety Training Video.